For this group of people from around the world, both celebrities and members of the public alike, Southern Spain has become the Go-To Premier Destination of choice, for those seeking something completely different, that is, Safe, Non-Surgical, Permanent Weight Loss. 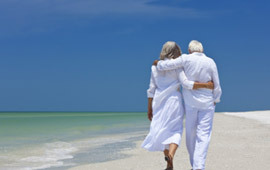 So now it is often talked about as a Weight Loss Retreat, listed on the search engines as Weight Loss Retreat Spain or Weight Loss Retreat Europe, of course it still holds its magic for those enjoying the Southern Mediterranean for their annual Holidays with virtual guaranteed perfect weather, but many are now incorporating a life changing experience into their Holidays. The Elite Clinic, located in Fuengirola, close to Marbella, was established back in 2008 by Martin and Marion Shirran, joint clinical directors. Over a period of ten years they researched, developed and trademarked what is now often referred to as the Gold Standard Weight Loss Treatment: the Gastric Mind Band®(GMB). So now a Weight Loss Retreat, is within everyone’s reach. Take a look around this dedicated web site and discover just why over a thousand individuals from around the world, including Australia, South Africa and the USA continue to make the trip, and changed their lives… Weight Loss Retreat Spain, Weight Loss Retreat Europe. Maybe this is another reason to visit the Elite Clinic in Spain. next holiday flight, believe it or not it’s already happening – It maybe the concept of the future. Passengers passing through Helsinki airport may have wondered whether their airline is suffering from weight issues. At check-in, Finnair staff have been asking passengers to please step briefly on to a set of weighing scales. But this isn’t a new “thin air” strategy to slim down the cargo.The airline is surveying customers to check that the estimates it has been using to calculate total weight, fuel and safety are accurate. Until now, Finnair has, like most airlines, been using the European Aviation Safety Agency passenger weight estimates, which puts a male’s weight at 84.6kg, and a female passengers weight at just 66.5kg . Also, the head of Samoa Air has defended the airline’s decision to start charging passengers according to their weight, saying it is “the fairest way of travelling”. It is thought the move could encourage other airlines to introduce similar policies. The treatment which is now available at a small number of select licensed clinics around the world is delivered over a three day period. The process incorporates a number of unique and groundbreaking components, in particular an approach called ‘Super CBT’. The treatment is completely diet free, with no exercise regimes to follow, it is Psychology Focused with a success rate that rivals the surgical alternatives ensuring its popularity continues to grow. Especially with prices starting at just £1,495. Clients leave reporting how life changing and enjoyable the visit and treatment has been. You can read about some of the therapy components here. So why would people fly to Spain from the UK or even across the world to visit a small British run clinic in Southern Spain, offering the ultimate Weight Loss Holidays. The quick answer is that it works and more importantly the results are permanent. Over the last ten years over a thousand people have completed the three day treatment, it has been reviewed in the world media countless times and the founders and developers Martin and Marion Shirran have appeared in TV shows on both sides of the Atlantic. Many of their clients have also appeared on leading TV shows in the UK, you can find links in the Press Section of the site. Why do people come, why does the clinic sometimes operate on a five month waiting list, simple, like we say the treatment not only works, but is permanent. Claudia Connell from the Daily Mail travelled to Spain to experience the treatment for herself, you can read her findings below. On the pages of this web site do visit the case studies pages, read the verified reviews, and take a look at the verified before and after photographs. Then decided for yourself. We look forward to you taking your Holidays here with us and returning home, a different person. The Elite Clinic, Your Weight Loss Retreat in Spain. Of course it all seems a little to good to be true, a Non Surgical, Psychology focused weight loss treatment with results that match the surgical alternative, really!!! The most common question asked by prospective clients, is But Does This Work. That really is a fair question, after all they may be investing their annual holiday leave to visit us as a Weight Loss Retreat in Spain. So on the Case Studies section of the site, we feature a number of verified stories written by past clients, including their amazing Before and After photos. Still not convinced, you can read below and in the press section of the site, an independent review by the Daily Mail journalist Claudia Connell, who travelled to Spain to experience it for herself, also read Sarah Vine’s piece in the Times Newspaper following her treatment. You can also view Martin and Marion’s interview on the Good Morning America TV show, and other TV interviews in both the UK and Australia. Finally for the individuals who need even more convincing, read the details of the Clinical Evidence of the GMB Treatment as presented by Dr Sarah Clarke, at the World Conference at Warsaw University. Additionally Martin and Marion’s best selling book, The Gastric Mind Band was published world wide by Hay House. “As you know, we had a number of discussions over several months as I needed to be sure of my decision – at every step you were assuring and sympathetic to my need to reduce my weight. On my arrival at the clinic for my first session I was made to feel very welcome and relaxed, as it was obvious I was still apprehensive, but after the first session I was in no doubt that travelling to Spain was the right decision”. “I found the sessions very structured and professional, but at the same time friendly and un-intimidating. Throughout the week’s sessions, there was never a feeling of pressure on time to conclude a session – they took whatever time was needed to properly develop the theme and for me to instill and adopt it mentally”. “When I read on the web site that the first session could last up to four hours I was sure that it would be hard work and seemed like an awfully long time to be talking to someone, I will always remember Marion saying to me at the end of the first session “I am sorry Brenda but we will have to finish here, we will catch up on the remainder when you come in tomorrow” I looked at my watch and I had been in the room with her for over five hours! God knows where that time went”. 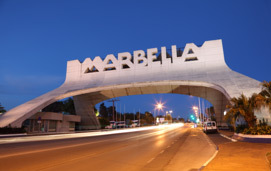 At the Elite Clinic they regularly welcome international clients, who have flown to Spain not just from the UK, exclusively to complete the unique treatment. 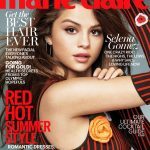 Recently, following the recognition of the high quality weight loss treatment provided and the positive, permanent results achieved, a select group of premier wedding planners from around the world have begun to book the clinic for their clients on an exclusive basis for prospective brides, bridesmaids and siblings, all wanting to look their absolute best on the big day. 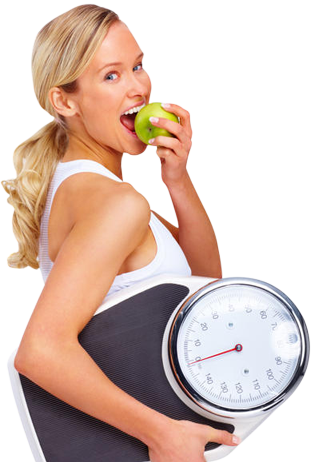 Weight Loss Spain. 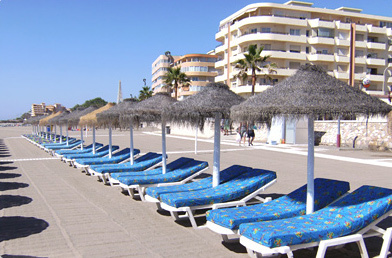 Many clients remark that along with the cutting edge treatment they received at the clinic, an additional factor in their successful outcome was attributed to the fact that they were in Spain, enjoying glorious sunshine in a completely different and relaxing environment, far away from all the normal stresses and strains of normal everyday home life. For details of the four sessions and just what the treatment involves visit the About GMB page on the site. 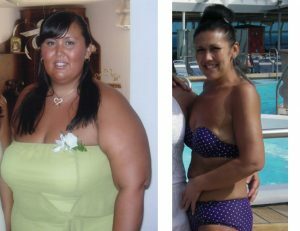 Does it Work – Weight Loss Spain, Our Weight Loss Retreat in Spain. In 2009 a UK-based journalist interested in weight loss, Claudia Connell of the Daily Mail, travelled to the Elite Clinic after hearing about the new weight loss procedure that had been developed. She wanted to experience it for herself. Two weeks later she wrote a two-page feature detailing her treatment that literally got the world talking, and resulted in clients flying to Spain from around the world, the rest as they say is history”. Read her article from the Daily Mail Newspaper here. Martin and Marion Shirran have since been featured in just about every newspaper and magazine in the UK and many more around the world. They were also invited to New York to be interviewed on the two largest US TV news channels, Good Morning America and Inside Edition. Their treatment has now become something of a phenomenon on both sides of the Atlantic, resulting in it now being the treatment of choice by members of the public, and celebrities alike. Please visit our Press and Media pager for more info. If after reading the information on the website, you decide to book your GMB treatment, the booking procedure could not be easier: simply contact us by phone or email us with details of your chosen dates. Once availability is confirmed, we will email you an online payment invoice for your deposit of £495, which can be paid by PayPal or credit card, enabling you to spread the cost.